That's what one Hindu priest calls "partner yoga" describing it (and the American practice of yoga generally with an interesting metaphor. Imagine you go into a Catholic Church and there's something called genuflection, where you go down on one knee," he said. "What if a person comes out of the ceremony -- which is supposed to be about their relationship with God -- and they say, wow, my legs feel a little sore! And they go home and open up a shop and have people do genuflection for an hour to disco music. And partner genuflection, at that! It's completely taking it out of context. Church of England minister resigns his license (roughly equivalent to being suspended in RC terms, I believe) after being exposed as a witch. The following has been passed to me for publicity. between 2nd & 3rd Ave's. followed by a procession inside the church and then the Solemn Mass. Diocesan] will be the Subdeacon. 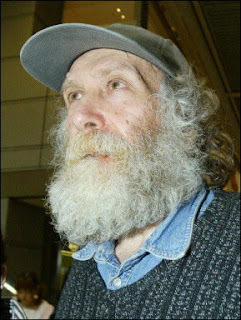 Cold war hero... fugitive from justice... ex-American citizen... troubled soul. Requiescat in Pace. Nathanial Peters has a good blog post at First Things. But why should it be consider nostalgia at all when young people prefer the older form of the Mass? As the Archbishop points out, they didn't experience it "back in the day". So why think that is the cause of their desire for it now? To the broader question, why this (non-nostalgic) desire for the old rite. The preference comes because they have experienced it. It's celebrated all over the United States, in Europe, and increasingly in other places. Almost anyone who wants to can now find celebrations in the larger cities of the. With respect to the Archbishop, I know my liturgical formation isn't finished. And if his exposure to the old Mass ceased at age 23, I bet his wasn't finished then either. If there had been a real option for him to retain the old Mass even his opinions might have been formed differently. It’s true that many times there were exaggerations, which happened for the most part in a time when we could say there was disorder in the church. If the Archbishop visits Mr. Gillibrand's website he'll see that the disorder hasn't ceased everywhere. I've seen this kind of "celebration" myself in the U.S.
No, it's not THAT Fulton Sheen. 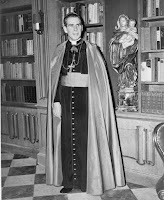 It's Michigan State Rep. Fulton Sheen. ... opens at the 7th Regiment Armory today. I hope to check it out while it's in town. There's a writeup in the New York Sun. A successful visit to the Met. 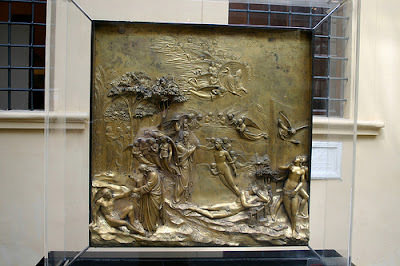 Ghiberti's doors for the Florence baptistery, or rather, some of the panels, were on display. It was the last day for the exhibit and that was the big reason for the visit. They're excellent, but I was a bit frustrated with the lack of technical detail available to those of us not willing to buy the catalogue. How exactly do lasers clean the doors? The New Criterion essay summed up the exhibit well. I also checked out the reinstalled Wrightsman Galleries, pre-revolution french period rooms. They're reviewed here. I went to middle school and high school in Deerfield, Mass., which is a museum town as well as a town with several private schools... There are around 2-dozen museum houses there (sorta like Williamsburg, but w/o the living history interpretation). So I've long been interested in this sort of thing. And (as it should be considering that it's the Met, it was well done. 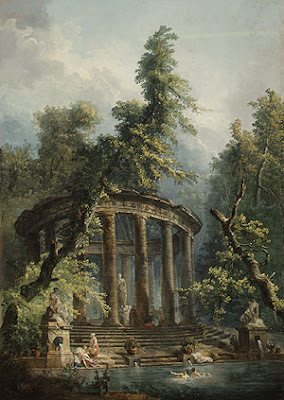 But I was most excited by the fact that Hubert Robert's landscapes for the Chateau de Bagatelle of the Comte d'Artois are back on display in these galleries. I saw these when they were briefly on display a while back. Check out this article if you don't know the story of the Chateau. You could design, build and decorate a Chateau (a Church) in 65 days right, Matthew? ...a man who could not have used certain restrooms forty years ago is in the center ring, not as a freak in the manner of Alberto Fujimori or Sonia Gandhi, nor even as a faction fighter in the style of Jesse Jackson, but as a real player. One of our great national sins is being obliterated, as the years pass, by the virtues of our national system. I don't agree with Obama and I don't particularly like him, but I am proud of this moment. Interestingly, Obama himself is a marginal black man—half white, half Kenyan—but that is often the way ethnic gains are made in American politics. The first Irish and Italian mayors of New York, Richard Croker and Fiorello LaGuardia, were Protestants. And Harry Golden said of Barry Goldwater, that he always knew the first Jew to be president would be Episcopalian.